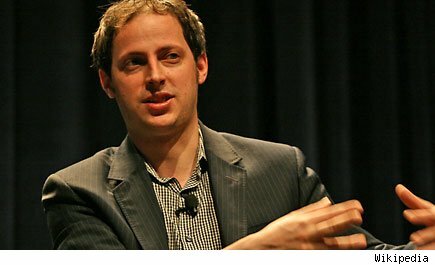 The other day, Nate Silver proposed a $2,000 bet (for charity) with Joe Scarbrough on the outcome of the election. But let's be honest, Silver has WAY more at stake than $2,000 already. Realistically, he probably has millions at stake. You see... Silver sees Obama's odds of winning at around 90%. It is true that 1-10 longshots do come in, and that Nate Silver's model might technically be "right" in a probabilistic sense, even in that eventuality, but to the average person, if Romney wins, Silver will be "wrong." And if that happens, Silver will have gotten one right and one wrong in terms of U.S. presidential elections. We don't know what he gets paid to speak, but he does to paid public speaking through The Leigh Bureau, and people of his fame frequently can make $50,000+ a pop. Could being wrong about this election result in 20 or more speeches that will go ungiven? Of course. Silver reportedly got $700,000 for a two book deal right after the 2008 election. If he nails 2012, he could almost certainly sign another one worth way more. Oh, and there are reports that his blog accounts for 20% of traffic to NYT right now. Tons of sites will want his traffic and start power in 2016. This is just a start of what he could do as the doors open for him. A hedge fund consultancy might be in his future. So if he's a bit stressed, this might be why. It's a big deal.